A car without anti lock brakes is vulnerable to uncontrolled skidding when braking, due to the risk of wheels locking up. The ABS system uses speed sensors to detect rapid decelerations, then controls the brakes through a series of valves positioned on the brake lines. The ABS uses a pump for restoring pressure to the brakes. The system is run by a control unit that processes the data from the sensors and controls the valves and the pump. Manufacturers continue to upgrade and improve anti-lock systems for faster reaction times and greater sensitivity. To find out details about your car’s system, visit Meineke #2687 in Elizabethtown, KY. Brakes are the most important safety feature on your car. While people sometimes procrastinate on repairs, a problem with your brakes means that you should stop driving your car and get it checked right away. A crucial part of keeping your brakes in good working order is using the right brake fluid and replacing it on time. There are several types of fluid, including silicone brake fluid and mineral brake fluid. Failing to replace brake fluid on time can cause it to absorb a high percentage of water and compromise your brakes’ function. To get an estimate of brake fluid cost for your car, speak with technicians at Meineke #2687 in Elizabethtown, KY.
Vehicles equipped with an ABS brake system generally have a dashboard light associated with the system. Some older vehicles may use the check engine light. However, your car will start to show physical signs during ABS brake failure. It may require more effort to press down on the brake pedal or the pedal may actually be unresponsive. If your ABS brakes need service, you will still have control and use of your regular braking system. This is not a reason to ignore ABS brake service. Bring your vehicle to the trusted technicians at Meineke #2687 in Elizabethtown, KY for repairs and maintenance. If your ABS fails, you can find yourself in a potentially very dangerous situation. Your anti lock system is what keeps your car from skidding or hydroplaning when you brake. For this reason, it is important to pay attention to signs that your brake system is impaired. One of the most common signs of an ABS problem is difficulty in applying the brake pedal, whether it offers more resistance or less than usual when you press it down. 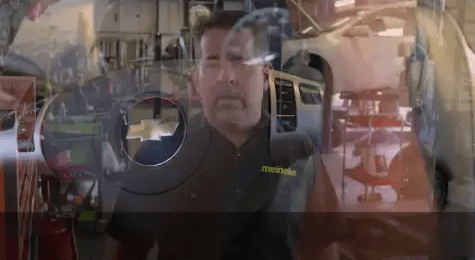 This type of problem is frequently related to brake fluid leakage or clogs and can arise whether you use silicone brake fluid or mineral brake fluid. If you notice a difference in brake pedal resistance, get your system checked at Meineke #2687 in Elizabethtown, KY. While some types of brake problems can be fixed by replacing the brake fluid, others need a more fundamental system overhaul. The top sign that a replacement is needed is noticeable loss of function in your breaks. If you are pressing your pedal and encountering no resistance, this could be a sign of systematic failure. If your ABS system is kicking in during normal driving, it may need to be replaced. 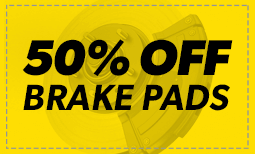 Get a better idea of replacement brake and ABS system cost by speaking with representatives at Meineke #2687 in Elizabethtown, KY.
Keeping your brake system in good order and replacing it as necessary is one of the most important car safety precautions you can take. For this reason, it is essential to have an experienced car professional to rely on. From knowing where to buy brake fluid that is right for your system to resources for ABS brake service, your service center helps you to keep your brakes in top condition. Visit in Elizabethtown, to learn more about brake replacement and maintenance.